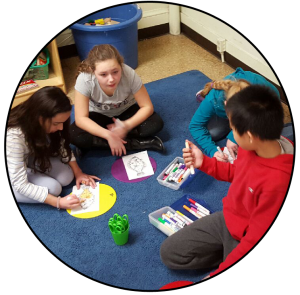 Kids Klub is a nonprofit extended day learning program in select Rhode Island schools, see our Locations page for details. Kids Klub students can receive care and education when the site opens until the beginning of school, and immediately following school dismissal until the site closes. See each location for hours. Kids Klub is also able to be open for school vacations, professional days, and in the event of early dismissal and school cancellation. Enrichment activities are scheduled throughout the year to complement the school day through fun activity-based learning experiences. These enrichments and curriculum activities reinforce the knowledge and skills needed for in-school success. 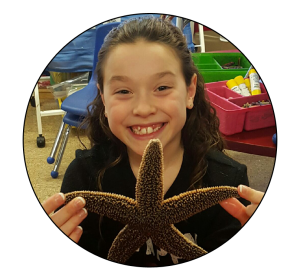 These programs are planned to include a variety of topics such as arts & humanities, character development & social competence, language & literacy, health, wellness, & fitness, interactive natural exploration, STEAM activities, and more. 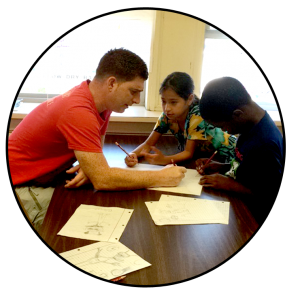 Monthly curriculum is designed to engage students from grades K through 5. Activities are developmentally appropriate using a mixture of grouping styles (i.e. free choice, small group, large group, individual activities) based on age, interest, and ability. The curriculum is developed by a team of school age professionals that meet monthly to assess outcomes and objectives of the program, aligned with common core. Kids Klub has an Educational Concepts Framework for the year which lists monthly themes and topics of study. A monthly calendar is created from the Educational Concepts Framework to provide activities to help students become more familiar with the theme both pieces of evidence are attached. Copies of these are made available each month so that if a suggestion or feedback is given, Kids Klub can incorporate feedback to strengthen the program.